One Drop YoYos - One Yo-Yo Players Winning Design Unleashed to the World! 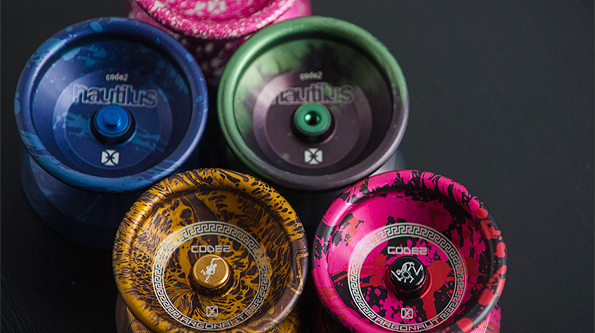 One Drop understands the yo-yo community is what makes them successful. Without the yo-yo players support they couldn't do what they do. They are continuously trying to push the limits of community interaction and Code2 was their second experiment with just stunning results. What if the yo-yo community could design a yo-yo? Yo-Yo players submitted their own yo-yo ideas and the community voting together ended up choosing one person's design! They worked with the winner and guided them through the prototyping process and the CODE2 was released to the world! The winning design was from forum member jrodriguez who proposed OneDrop put something out that was big and wide that's all catch zone and geared specifically for performance, including 5a and horizontal play, but that's still comfortable to hold, and has a solid Inner Grind Ring. He also wanted something that integrates the side effect technology, but starts with a higher base weight than has thus far been available with side effect Yo-Yos with a focus of putting as much of that added weight on the rims as possible. This design achieves this perfectly and has an amazingly powerful spin because of it. One Drop contacted Jason more than a year after the original design about creating a special edition Code 2 and here is the result! The idea was to create something in honor of his creation and who he is. Jason quickly replied with an amazing idea. What better way to honor Jason than with a Jason and the ARGONAUTS theme!? 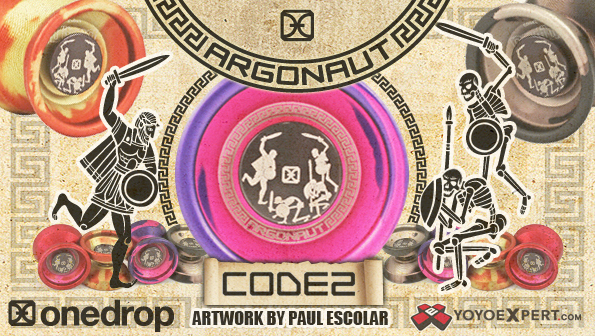 From there with help from the amazing yo-yo player and artist Paul Escolar we breathed life into Jason's idea and the Argonaut Code 2 is born!